Star Wars: The Last Jedi actress Daisy Ridley is on the cover of this month’s Vogue Magazine and, in the article, gives fans a glimpse into her life growing up, getting off social media, dealing with fame, and the franchise that launched her career. As part of Vogue’s coverage of Ridley, the actress also participated in Vogue’s 73 Questions where we get to know some of her thoughts, including her opinions on Dame Judi Dench, Oscar Isaac, and Harrison Ford. During questioning, she was asked some Star Wars questions including showing off a few of her lightsaber skills and Wookie sounds. Jokingly, of course, the “spoilers” for The Last Jedi were bleeped out. Ridley can be seen next in next month’s Murder on the Orient Express and in Star Wars: The Last Jedi on December 15th. Ridley’s Vogue cover is out on stands now. 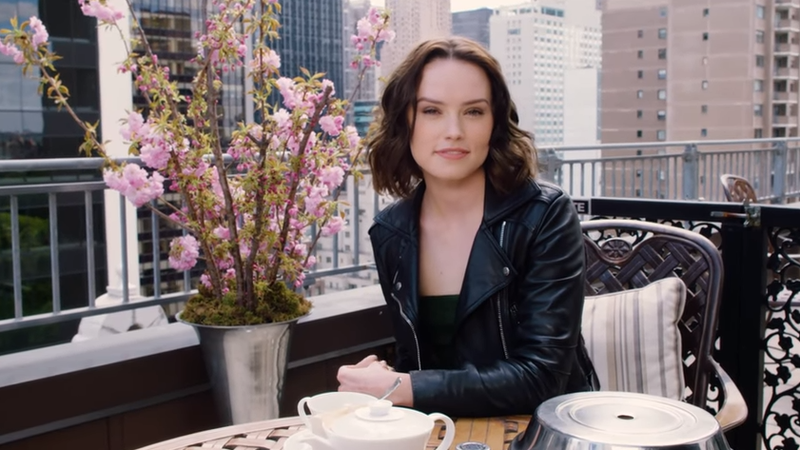 While visiting New York City, ‘Star Wars: The Last Jedi’ star Daisy Ridley invites Vogue inside her hotel room to answer 73 Questions. Daisy spits some bars from Eminem’s ‘Lose Yourself’ and shows off what she can do with a real lightsaber.